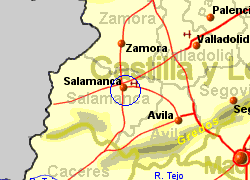 Salamanca airport is located 15Km East of Salamanca, with good access to the N-501 Motorway to Avila. 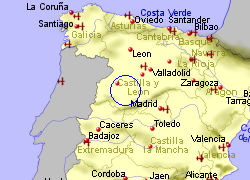 A bus service costing 3 Euroes links the airport with Salamanca and runs at times appropriate for flights. 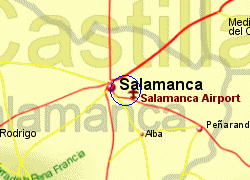 A taxi to Salamanca would cost around 30 Euros. Salamanca airport has 2 cafe/restaurants.